Thoughts of THAT Mom Thoughts of THAT Mom: SOS Mom Saver: Rescue Old Crayons! 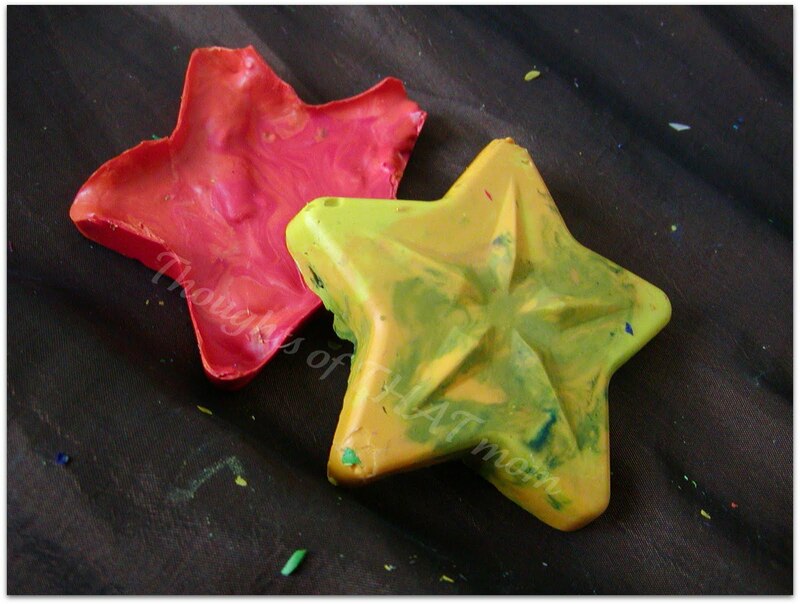 SOS Mom Saver: Rescue Old Crayons! 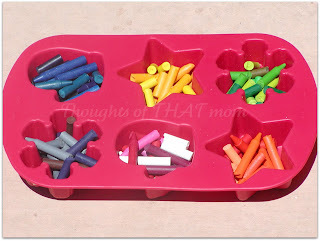 Raise your hand if you have bits of broken crayon sitting in a box or baggie somewhere. That's what I thought. 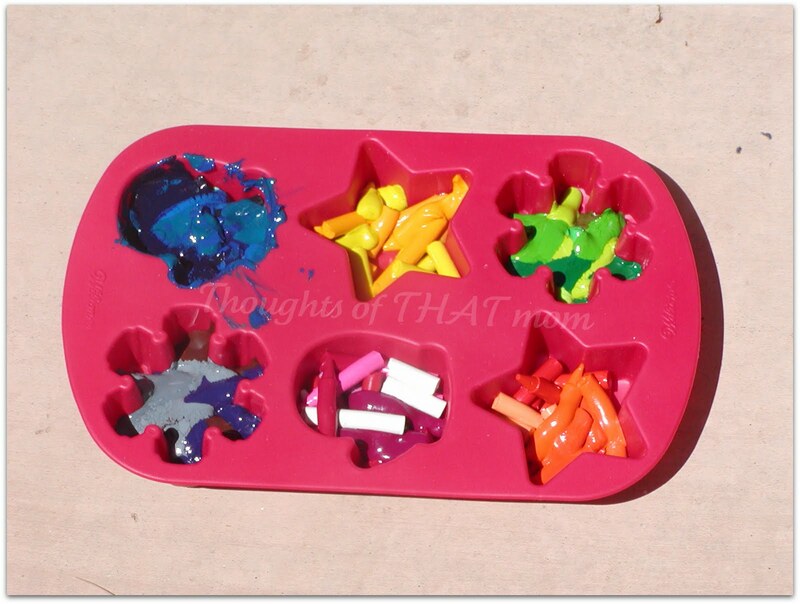 I did too until I learned how to repurpose them and turn them back into useful crayons. It's SO incredibly simple to do! 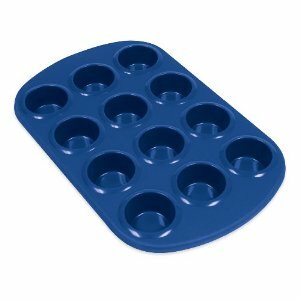 You just need some muffin pans or another type of silicone or metal pan (I have several that I've gotten at thrift stores for $.25-$1 each). 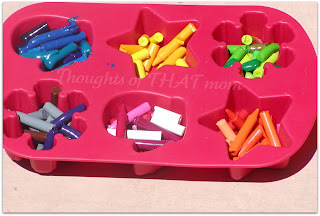 And of course...the broken crayons! You put the broken crayons in the pan (whichever one you chose). Be creative! You can either mix colors or put all of the same color or variations of the same color into one section. You can stir them every 10-15 minutes until they're completely liquid or you can just let them sit until they're liquid. You can see the one at the top left corner that has been stirred (by my 8yr old boy...so it's not the neatest stir). Once they're done, bring them in and let them cool. If you live in a warmer area or just want them to cool more quickly, you can put them into the fridge or freezer to speed up the cooling process. This may cause some cracking, though, if you don't let it sit on the counter and at least come to room temp first. When you're done, you have a new, fun crayon shape! They're done! As you can see, we lost a snowflake. We'll still use the bigger chunk, though, and put the smaller pieces into a baggie to use next time around. 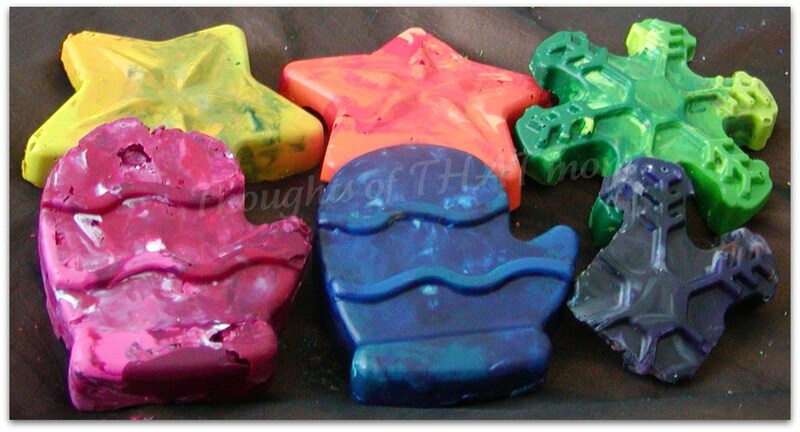 These are the same molds we use when we make soap...aren't they pretty? And so festive! Look at the detail on that snowflake! We make these to put on top of gifts at Christmas time or for birthdays instead of a bow. It's much more useful than a bow! Here you can see the front (pretty) side of the star as well as the back (not-so-pretty) side of the star. You could use a knife to make the back side look prettier, but it would still look fine if you didn't. When the crayons you made break down again, down, repeat! 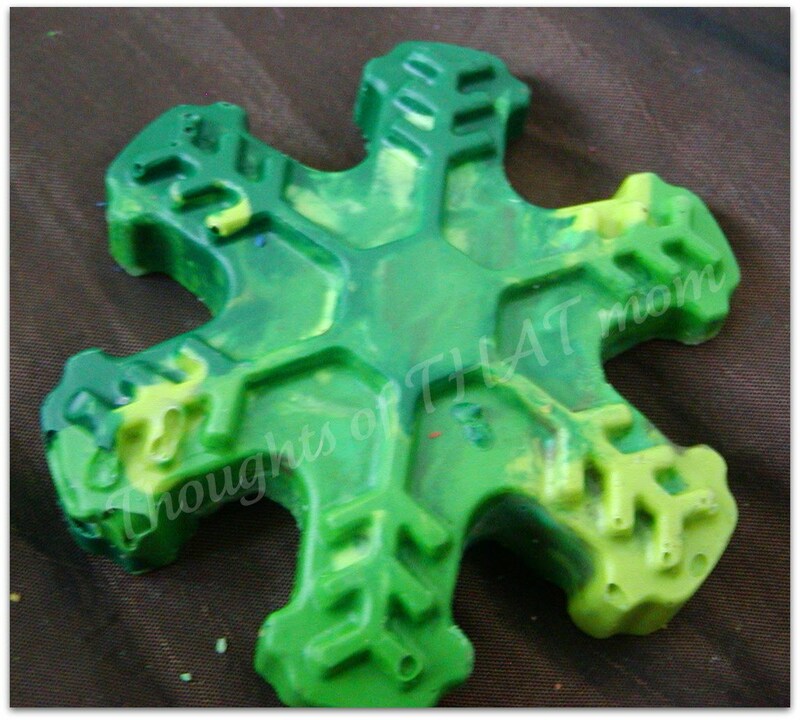 The great thing about silicone is that you can usually just pop them out without hurting the shape. I do pop them out slowly, though, especially with more brittle shapes (like the snowflake that we lost this time around). 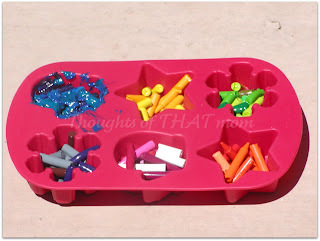 This is a fantastic way to do a fun craft with the kids while being frugal and using up all of what you've got! Disclosure: Some perfectly good, non-broken crayons were harmed in the making of this post. However it was a sacrifice they were happy to make on your behalf. What an awesome idea!!!! Thanks Amy!!! Amy, that is a great idea! I'm a teacher and I always have tons of broken crayons. I can now make use of them. Thanks! Thank you, ladies! I'm glad you found the idea useful!